The Squeeze is a thrilling pitching show where entrepreneurs shoot their ideas through the roof, and battle to the bitter end in order to win the ultimate start an entrepreneur could only dream of: 15.000€ and 10.000€ in prize money! 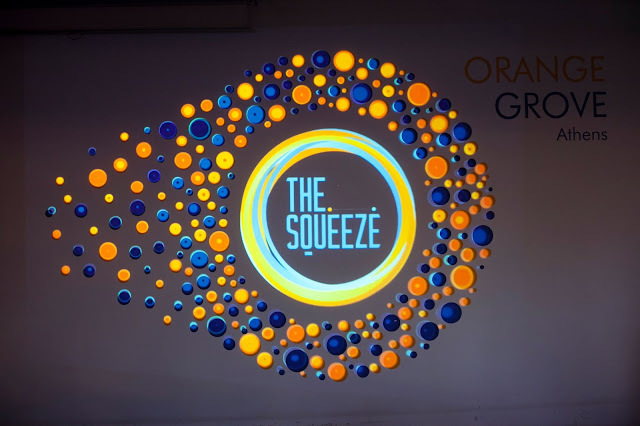 During The Squeeze, 8 of the most promising Orange Grove startups pitch their idea to a jury consisting of 4 acclaimed business professionals. The quarterly competition is made possible with the generous support of the Stavros Niarchos Foundation (www.SNF.org) as part of the “Recharging the Youth” initiative which aims to help create new opportunities for Greece’s younger generation. The next The Squeeze will take place June 23, from 18:00 until 21:00.